Knowing the praticality of card kits I have decided to put a few together for an event this coming weekend. I know several are enthusiastic card makers and this would be a way for them to have fun making cards without buying supplies and tools!! 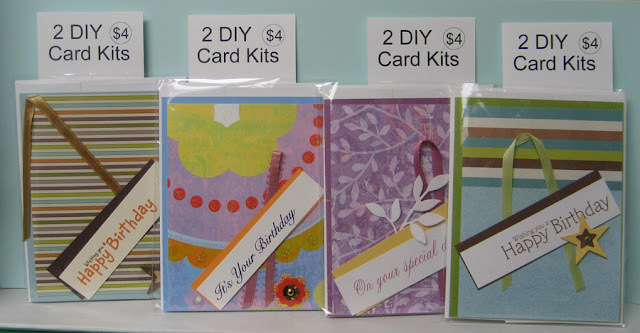 I simply packaged card kits that I created for this class in a cellophane sleeve, added a display tag and the instructions too. They are all occasion cards with the papers and greetings visible with one on each side. So we shall see! !